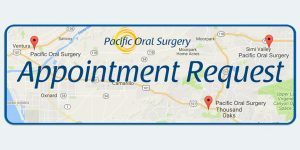 Preprosthetic surgery is the surgical preparation of the mouth for the placement of a fixed (dental implant) or removable (denture) dental prostheses. Preprosthetic surgery is that part of oral and maxillofacial surgery which restores oral function and facial form. 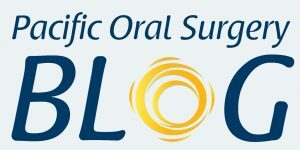 The focus is surgical modification of the bony alveolar process and its surrounding structures to enable the fabrication of a well-fitting, comfortable, and aesthetic dental prosthesis. The dental prosthesis being fitted inside the mouth (intraoral) is used to reconstruct intraoral defects, such as missing teeth or alveolar bone. 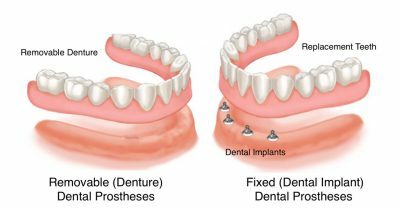 The dental prostheses can be either removable or fixed and can be held in place by suction and by connecting to teeth or dental implants. Some patients require minor oral surgical procedures before receiving a partial or complete denture, to ensure the maximum level of comfort. A denture sits on the bone ridge (alveolar ridge), so it is very important that the bone is the proper shape and size. If a tooth needs to be extracted, the underlying bone might be left sharp and uneven. For the best fit of a denture, the bone might need to be smoothed out or reshaped (alveoloplasty). Occasionally, excess bone would need to be removed prior to denture insertion (alveolectomy). The mandible resorbs downward and outward causing rapid flattening of ridge, with greatest loss occurring within 12-18 months after extraction. Resorption results in a wide variety of shapes and sizes of residual ridges on the mandible. To provide a simplified method for categorizing the most common residual ridge forms, the following classification system has been created. 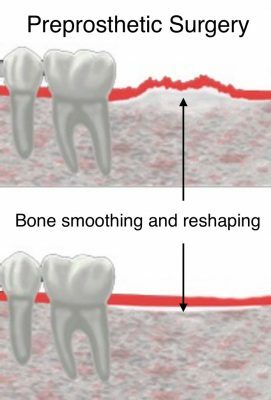 This self-descriptive system is useful clinically, as well as for research purposes, and helps one to differentiate the various stages of residual ridge resorption in the individual patient. 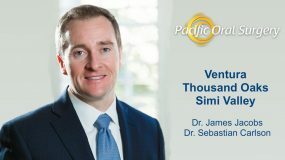 Preprosthetic surgery is an integral part of oral and maxillofacial surgery and prosthodontics. It comprises both basic procedures and sophisticated techniques of reconstruction and rehabilitation of the oral and maxillofacial region. 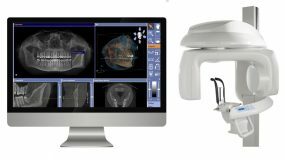 The treatment planning, therefore, should involve coordination between the prosthodontist and oral maxillofacial surgeon. The bony ridge should have adequate width and height and should be U-shaped for a denture to be retentive. The oral mucosa should have adequate uniform thickness. The ridge should not have any undercut or sharp ridges. No bony or soft tissue protuberance should be present. Adequate buccal and lingual sulci depth is necessary. Alveoloplasty, or trimming of alveolar bone, is the removal of excess bone during a dental extraction to prevent irritation from developing because of soft tissue being pinched between the denture and the bone. Bony prominences, undercuts, and spiny ridges are usually removed to avoid undercuts. A sharp knife edge-like ridge causes great denture irritation. It is usually found in the anterior part of the mandible. Irregular and sharp bony edges are trimmed to a depth of 1-2 mm, and the wound is closed with silk sutures. The genial tubercles may be extremely prominent as a result of an advanced ridge reduction. Genial tubercles are the bony projections located on the lingual aspect of the mandible, two on either side of the midline, which gives attachment to the genial muscles. When the muscular activity of the genioglossus displaces the lower denture, the genial tubercle is removed and the genioglossus muscle detached. Genial tubercles are exposed by blunt dissection. Using bur, chisel, or rongeurs, the tubercle is removed, and the rough bony margins are smoothened using a file. Vestibuloplasty is a surgical procedure in which the oral vestibule is deepened by changing the soft tissue attachments. Vestibuloplasty can be done either on the labial or on the lingual side. An incision is made in the mucosa of the lip and a large flap of labial and vestibular mucosa is retracted. The mentalis muscle is detached from the periosteum to the required depth, and the vestibule is deepened by supraperiosteal dissection. A flap of the mucosa is turned downward from the attachment of the alveolar ridge and is placed directly against the periosteum to which it is sutured. A rubber catheter stent can be placed in the deepened sulcus and secured with percutaneous sutures. This catheter helps to hold the flap in its new position and maintains the depth of the vestibule. It is removed after 7 days. This procedure is indicated when the mental foramen is situated in the superior border. In this procedure, autogenous bone graft is used. A rib graft can be fixed to the superior border of the mandible. Two segments of the rib, about 15 cm long, are obtained from the 5thand 9th ribs. The rib is contoured by vertical scoring in the inner surface. The second rib is cut into small pieces to laterpack against the solid rib. Fixation is done by means of transosseous wiring or circumferential wiring. There can be some disadvantages to this procedure. Necessity of the patient to withdraw denture until the surgical wound heals for a period of 6-8 months. This technique was first described for reconstruction of a resected mandible. This procedure is indicated to prevent and manage fractures of an atrophic mandible and to overcome the resorption of a free onlay bone graft. In this procedure, the mandible is divided buccolingually by a vertical osteotomy from external oblique ridge of one side of the mandible to the other side. The osteotomized lingual segment is pushed superiorly and fixed with the buccal segment using stainless steel wire in the lower border of the lingual segment. This technique is indicated where the muscle insertion to the mandible and nutrient supply is maintained.